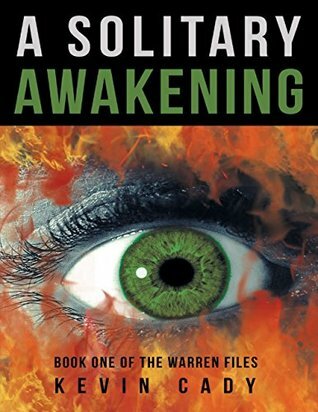 FBI detectives Elijah Warren and Aurelia Blanc must track down a serial killer dubbed the 'Poetic Murderer' by virtue of the cryptic poetry he leaves as clues. His victims are tortured and killed in the most brutal fashion. Elijah and Aurelia race against time to decipher the poetry in a cat-and-mouse hunt for the killer. A Solitary Awakening is the author's debut novel and in my opinion worthy of a top rating. The plot was an exciting page-turner that held me captivated from start to finish. The relationship between Elijah and Aurelia created a much needed diversion from what would otherwise have been a very ominous and intense novel; the balance was spot on. A great first book in what I hope will become a must-read series. My thanks to author Kevin Cady and publicist for providing me with a copy of this book. Elijah Warren's world has always been one haunted by murderers. His personal life is non-existent, though it's not like he's noticed. Work consumes him, and he's buried himself in the FBI's exhaustive demands. There's no time for romance with killers to track--that is, until the beautiful and erudite Aurelia Blanc is thrown into his life, along with the so-called "Poetic Murderer." The Poetic Murderer makes murder an art form, each crime scene an exhibit. To catch him, Elijah and Aurelia must decipher cryptic poems and study imaginative death scenes. They traverse the United States, into the uncharted past of a killer most twisted, whose brutal violence evokes not only empathy for the victims, but an interest in the killer himself. In time, what these detectives discover about both themselves and the Poetic Murderer will change their lives forever. First, they must understand him. Then, they must stop him, but will a romantic liaison make the killings more personal? If Elijah and Aurelia don't stay focused, one could end up dead at the hand of a Poetic Murderer.